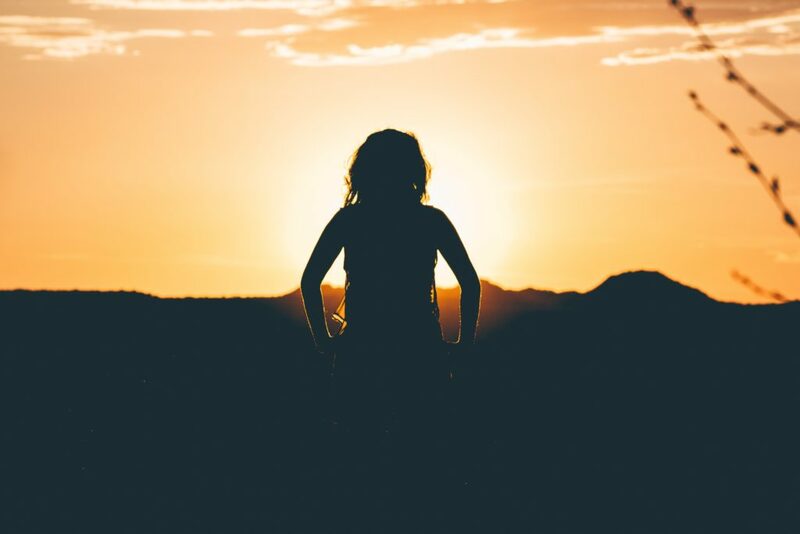 Solaris Offgrid, is a company based in The Nest – a social innovation space in Valencia – that provides off grid solar systems to clients in Tanzania and sells the core technology to organisations in other regions. I sat down with Siten Mandalia, company Co-Founder & CEO, to discuss his personal development, Solaris Offgrid, economic empowerment and the role of social entrepreneurship. Siten grew up in London and was raised by his parents, a Kenyan-born couple of Indian descent. From a young age, a drive to problem solve and a passion for electronics has been evident. Now, continuing a family tendency to be raised in one country then migrate to another, this passion and his interest in sustainability has brought him to The Nest – a social innovation space in Spain. It was 2008 and East Africans were paying one-hundred times more for energy than Europeans. Siten explained this to me – ‘Our electricity is measured in kilowatt hours. If you work out how much energy they are getting – equivalent energy from kerosene, candles and similar sources – and work out the cost, they are paying one hundred times more than we are.’ I was astounded. As an ambitious mechanical engineering student at Imperial University in London, Siten’s profound interest in energy, electrification and sustainable engineering led him to search for renewable energy solutions in foreign markets. Given his family ties in East Africa, Siten travelled there and noticed a significant socio-economic gap. He began to brainstorm and engineer a product that would allow people to earn more money and eventually lead to further product development. First Siten built a small ‘Blackbox’ containing a battery and some USB ports powered by a 10 watt solar panel. He travelled to Kenya and began selling it for eighty US dollars’ cash. The idea was for the Blackbox to allow customers to set up a mobile phone charging business. However, after an initial trial period two clear barriers arose – cash payment for the device was unaffordable by most even if their return came in 3 to 6 months, and solar products and electronics in general had a bad reputation for breaking without the availability of a repair service. Customers needed an affordable, functioning product and access to a support service. After three years of working alone, his project finally gained momentum when he received funding from Climate-KIC in 2014 – Europe’s largest public-private innovation partnership focused on climate change. As a result, accompanied by new co-founders Thibault Lesueur and Benjamin David, Siten was able to re-engineer the product, and provide customers with access to a modular off grid solar electricity system with a flexible mobile pay-as-you-go service. 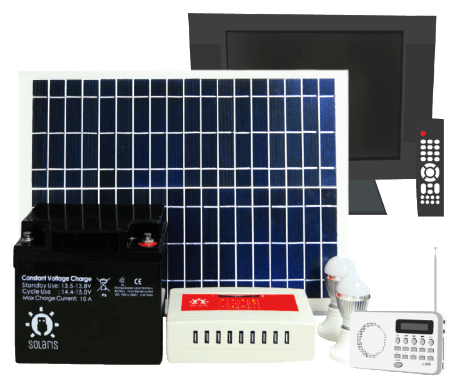 Today Solaris offers an off grid solar energy system that can provide device charging, home lighting, satellite TV, and internet access using a tablet device and 3G router. The system is available in multiple sizes – from a 20-watt solar panel to a 200-watt solar panel (twenty times the power of the original Blackbox) that connects to a main box with an array of ports that charges appliances and powers lights. Additionally, customers are able to modulate their system according to their needs and payment is made easy through flexible mobile-payment schedules. Customers make regular payments and in return receive a code that unlocks the system for another period. Similar to a Lease-Purchase Agreement, once they have repaid the price of the system – typically taking three years – they become owners and have no further obligation to pay. With various stores across Mwanza, Tanzania, a team of thirty-five provide this service to customers within a 50 kilometre radius and the core technology is sold to organisations in other regions. 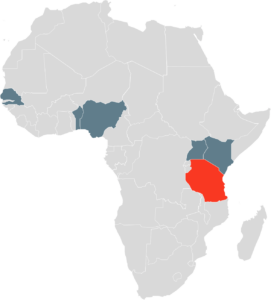 The team consists mostly of Tanzanians who work in sales, instalment or after sales support. Additionally, volunteers and interns with relevant experience provide the Solaris team with valuable insights. 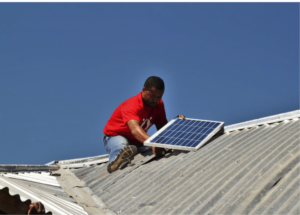 Powered by solar panels, the environmental benefits of the electricity system are clear, but what Solaris also provides is economic empowerment and an improved quality of life for its customers. Solaris conducts a baseline study for each customer, gathering data on estimated income and energy requirements, before recommending and installing a suitable solar energy system. To measure its impact, Solaris revisits customers yearly and records any improvements to living standards. However, impact measurement does not stop there. Interestingly, Solaris also monitors children’s school grades as research has shown a strong link between school grades and electricity. Given that social impact is inherent in Solaris’ business model, profitability and scalability can come first without loss of impact. As such, the company aims to consolidate by making the organisation’s operational structure process-oriented and efficient before scaling it. In the meantime impact data will continue to be collected for a later, well-founded analysis of changes in living standards. Today, there is no clear approach for fostering social impact and opinions on how to move forward have become highly polarised. On the one hand, individuals call for more effective aid to help especially fragile countries develop. While on the other hand, the impact of development aid is being questioned. With this in mind, I was interested to hear how Solaris Offgrid regards social enterprise as an approach to solving pressing issues. 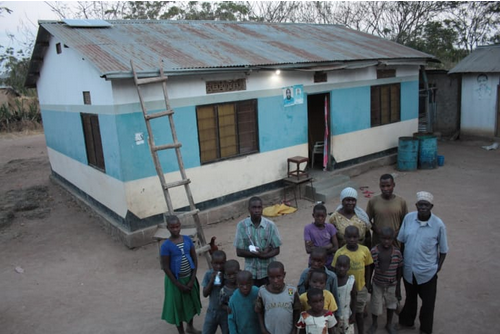 Companies like Solaris Offgrid regard social enterprise as the main tool for making a lasting impact in the world. Siten identified social entrepreneurship as having a unique capacity to solve problems in a ‘universal way’. He outlined that through social entrepreneurship an ordinary person, wherever they may come from (as long as it allows for private enterprise), can make a huge impact through this model of creating a business.